There's a movie coming out soon that's based on the book. While the story was somewhat predictable, there were a few twists and turns that kept it interesting. I wanted to listen to the book before watching the movie. I wish I'd read it on Kindle instead of listening to a voice actor. Listening to the narrator felt like I was listening to a children's book. Wanting to hear how the story ended was the only reason I stuck it out. It was grueling and I will not purchase another book read by this narrator. The perserverance of the dog. The narrator read the book as though she was reading to a class of children. I found it annoying. Was A Dog's Way Home worth the listening time? What made the experience of listening to A Dog's Way Home the most enjoyable? The further I got into this book the more I realized that although it could have been written for child, I really liked it, even as a senior citizen. It's an easy read (listen), and I couldn't wait to get back to see what happened next. A child might also enjoy this book. I felt a bit foolish at times as I stayed with it, but that did not detour me. I love dogs and I am a child at heart, so this was a fun and exciting read all the way through. The end. Sorry folks I had to tell you it's a happy ending. Her voice was perfect for Bella! If you could rename A Dog's Way Home, what would you call it? Very entertaining if you’re looking for a light story. Also, some clever and very funny parts too... I enjoyed it overall. Listening to the narrator was the only downside. Although I n her defense, it would have been tough not to sound like reading to elementary school children with all the repetition and simple verbiage meant to be the dogs thought processes, etc. It is rare that I can't finish a book but this is one of those that I just could not listen to anymore. I made it about halfway through the book and finally reached my limit, mostly due to the narrator. I am not sure how a narrator is chosen for a book but this narrator completely ruins this book. She sounds extremely childish and cannot successfully represent different characters in the book. 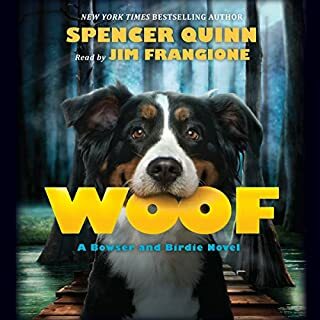 Additionally, I thought I would enjoy the storyline since I typically like books told from the perspective of the animal but again, this storyline falls short. The characters need more development and the writing is rather simplistic. I found it hard to stay involved with the story. I’m only about 2 hrs into this book. It’s awful! First of all, it’s written on about a 12 yr olds level. Secondly, I love animals, but I’m not an animal rights activist- which is the only type of person this book would appeal to. I’ve read other stuff by Cameron which I liked. NOT THIS!! For its message, I would’ve done so. Unfortunately, there appears to be no such category that isn’t outweighed by content performance and “overall.“ And so, there should’ve been a disclaimer upfront that said this is definitely a child’s book. 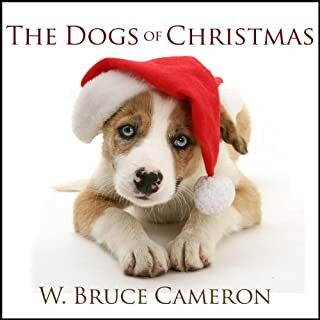 I am definitely a fan of sentimentality and as a disabled veteran with a service dog who has encountered the same bureaucratic malice portrayed in “a dogs way home“ I was really receptive to the reviews as well as the premise. But Mr. Cameron expect me to stretch credulity just a little too far and the narrator was so annoyingly cutesy it was all I could do to finish the book. Again,. 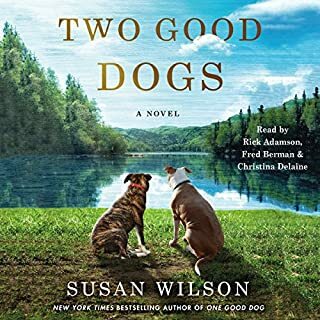 I am a big fan of tearjerker dog story and can think of Few I have not read… But this one seems to touch on every modern cliché, and then not satisfied, took the story into the ridiculous … A cougar makes friends with a dog and they spend the winter hunting together?… Really? And then A gay couple is the personification of good while more than a few village rednecks round out and almost unbelievable villainy? Again, I agreed with the message and would commend the book to anyone who is willing to suspend reality and who is 13 years old or younger. 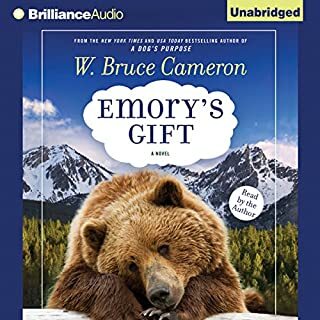 The first book I listened to of Cameron's I thought was interesting. By the time I was through about half of this book I had had enough. Unless you're a dog, thinking like a dog is only entertaining so long. To me his plots are a little over melodramatic. It's hard not to compare this book with Cameron's best known, "A Dog's Purpose". 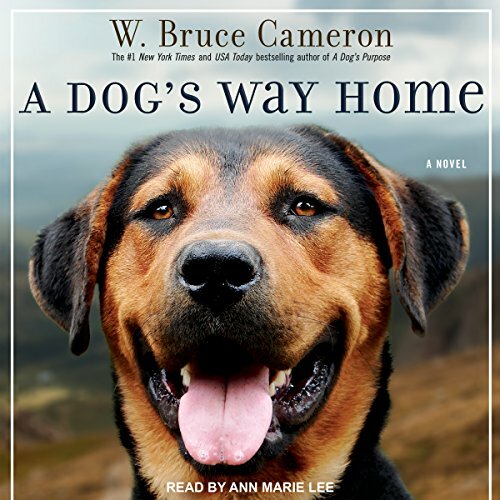 Try as it might, "A Dog's Way Home" doesn't quite meet the same depth, the same highs as that book. 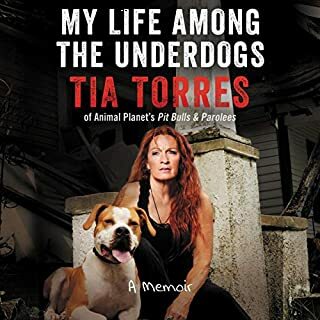 Still, it's a sweet read filled with Bella's many relationships, many journeys through 11 hours of well-narrated listening time. It's greatest weakness is that Cameron's style is to over-write. We're constantly being told: "Something significant was happening," "Dogs learn from repetition. Here was another repeat," things like that when really, he doesn't have to do that as situations and previous writing makes the listener learn and feel that for themselves. There are many decent scenes, many good situations, and many great characters that people the book. And through it all, is Bella's basic nature that was shaped by a cat who loved her, took her in, saved her when she was a pup. This sets up some fine instances of Bella's ability to surpass the norm, being the loving dog that she is. Sometimes the narration is a bit fraught, but Ann Marie Lee does a good job with Bella's many emotions, her confusion, her dedication and love to those who matter. "A Dog's Way Home" was a nice way for me to journey along with a lovable dog, meeting people, places that are quite memorable. And Bella is quite the good dog that she hopes to be through it all. from a pup's point of view, this book keeps you turning it's pages until the early morning hours. it pulls at your heartstrings, but still manages to remain action packed! 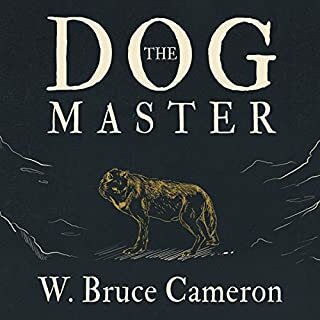 Would highly recommend this phenomenal book to anyone that loves adventure, their dog or both. you'll find yourself hugging your fur baby a bit tighter at night while reading this "ode to a dog's love."